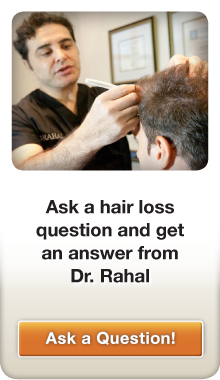 Enter your great experience here in Rahal. 6 months in! 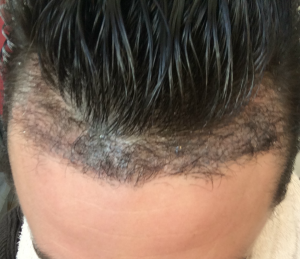 Back at 2 months this couldn’t have seemed further away. 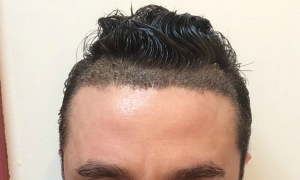 But endure we shall. I’m happy with the progress so far. 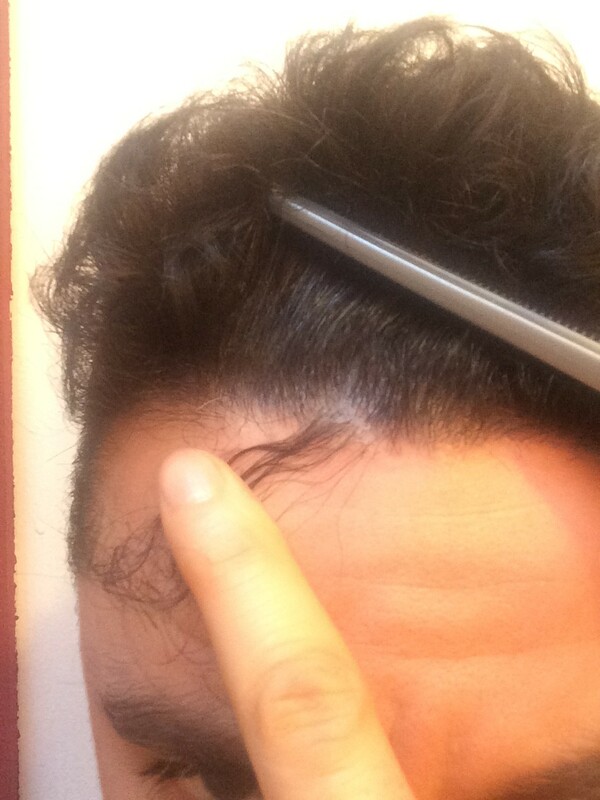 The hair seems to be coming in thicker at the temples than in front, however Larissa told me this is a result of more 1 hair graphs being placed in the front, which have a tendency to grow slower. Still taking 2500mg of Biotin daily and using Rogaine. 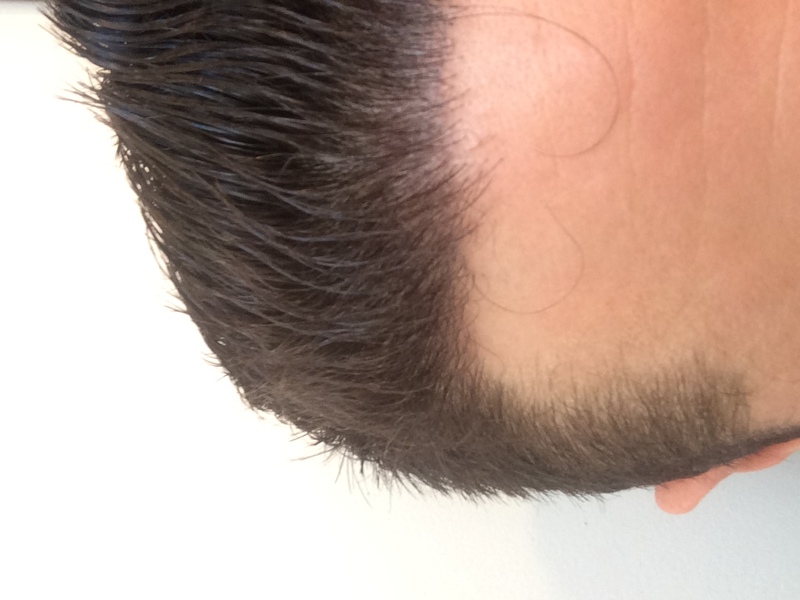 Still waiting on the growth in the front of the hairline. The temples are nice and thick and I’m really hoping the front will catch up over the next month or two. 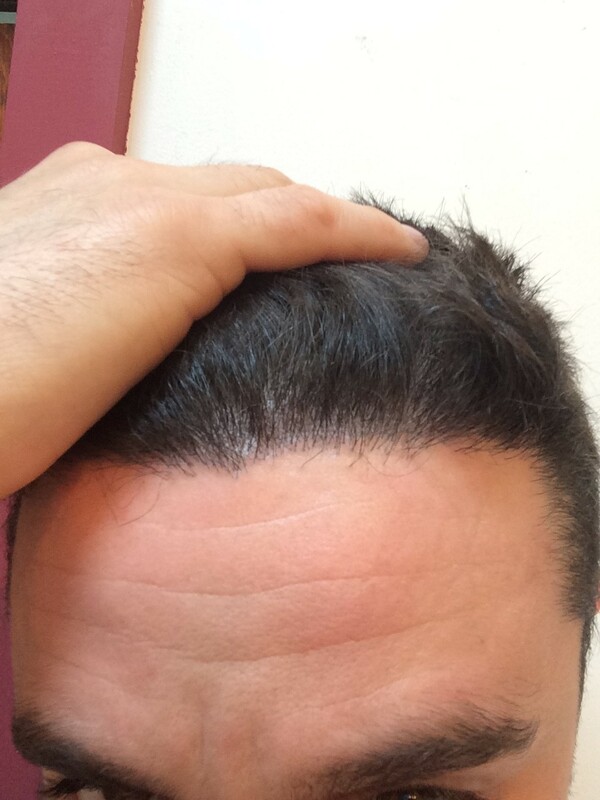 I continue to apply Rogaine 2x daily and keep the graphs out of the summer sun. I don’t know why these photos are showing up at rotated CCW 90 degrees, but oh well. 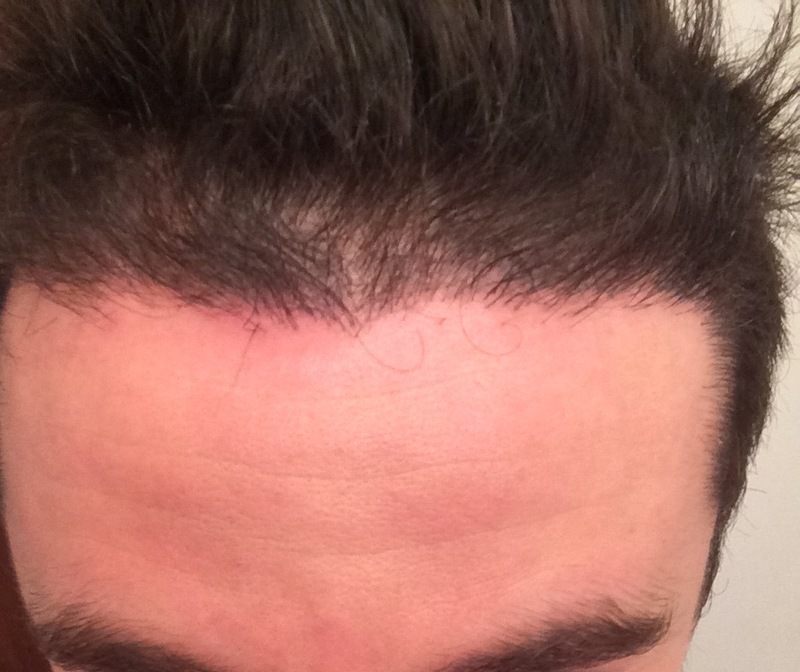 I’m at the 4 month mark and just to remember to be patient. 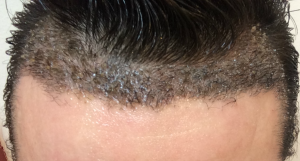 I think one thing that helps is coming back and reading/viewing where some of the other patients were at their 4 month mark and remember there’s lots of growth to come. 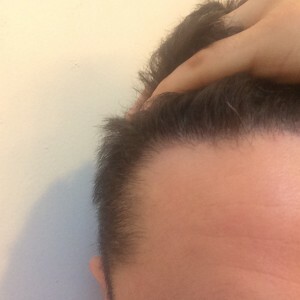 It has come in thicker in the temple regions than in the front which is temporarily disappointing. 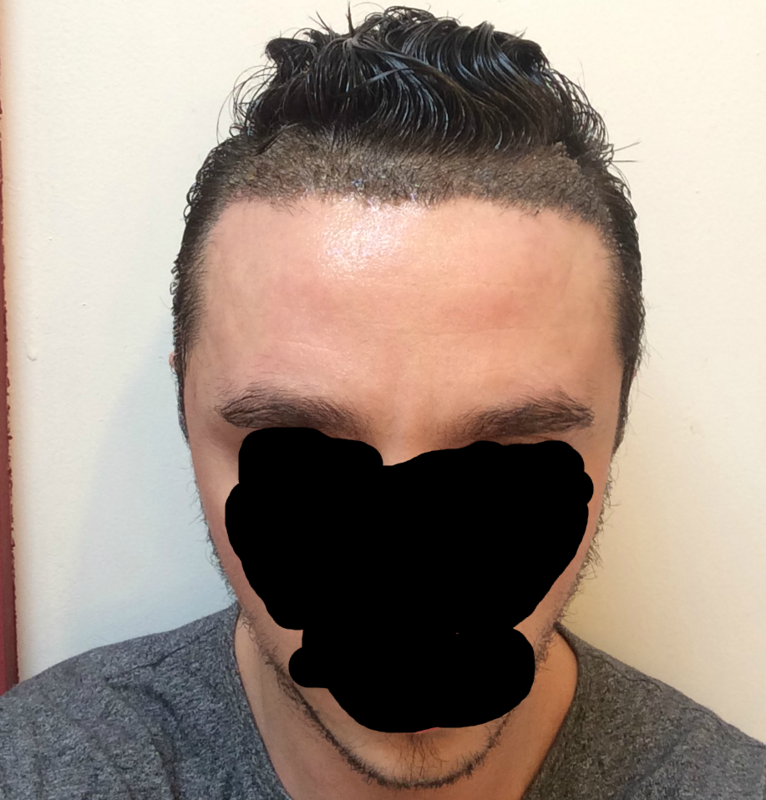 From what I’ve seen on here, months 5&6 are where some people see some real gains. 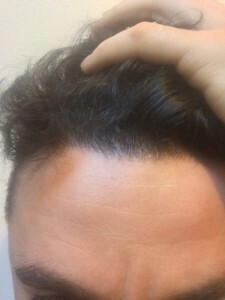 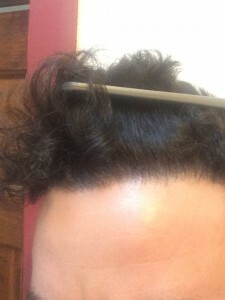 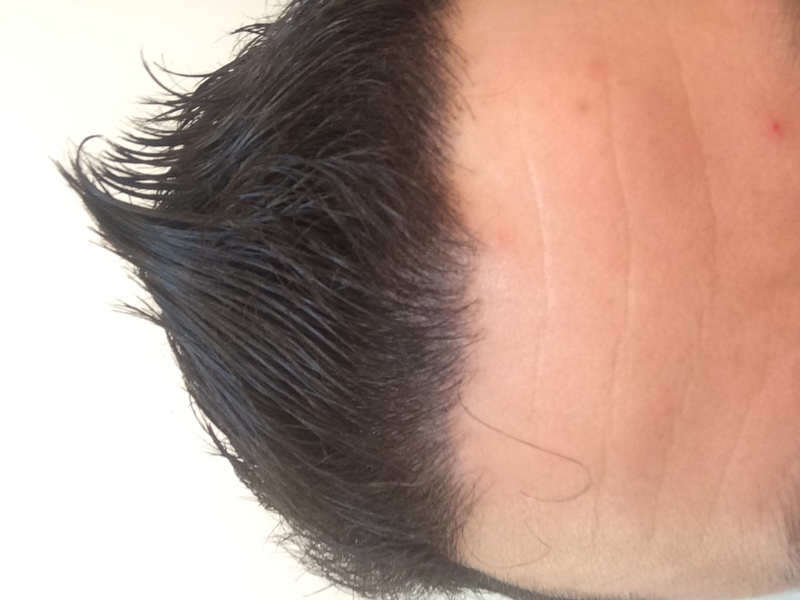 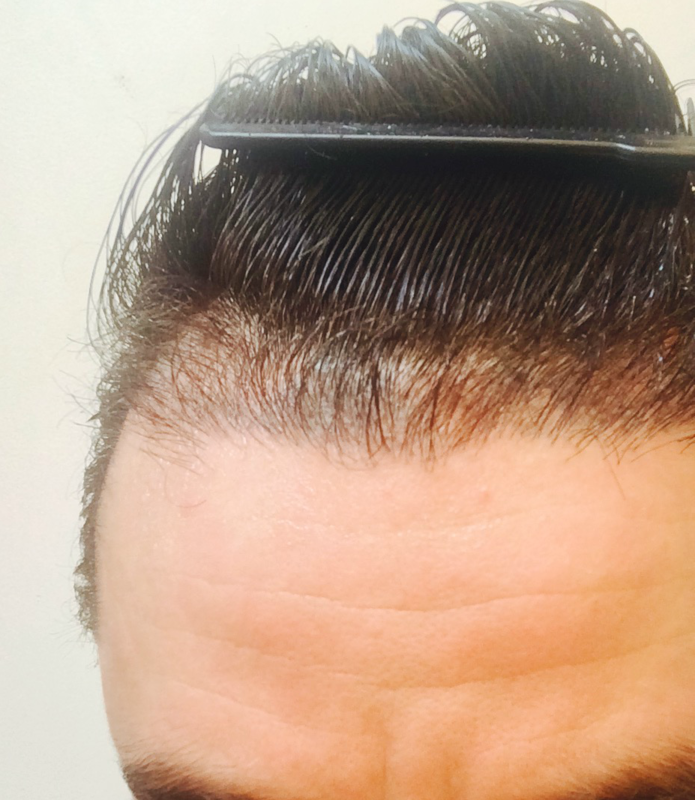 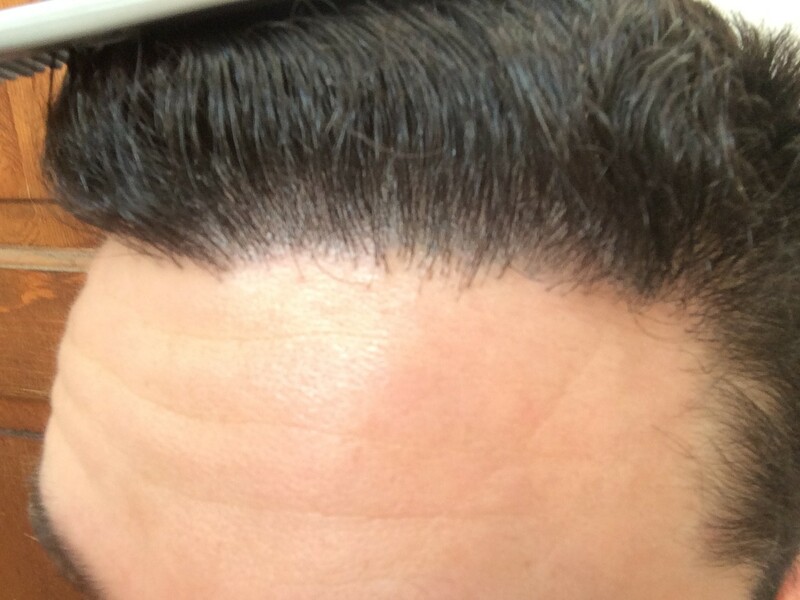 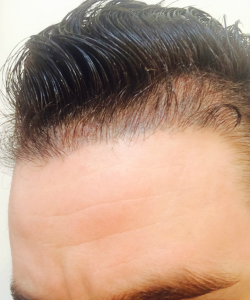 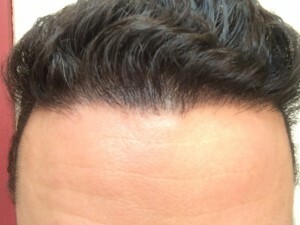 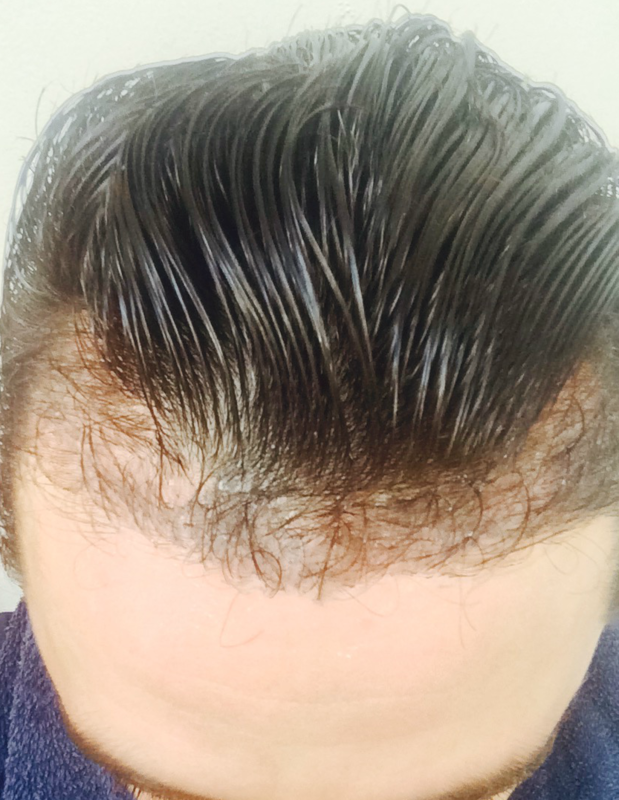 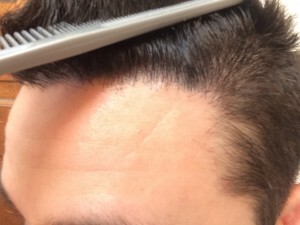 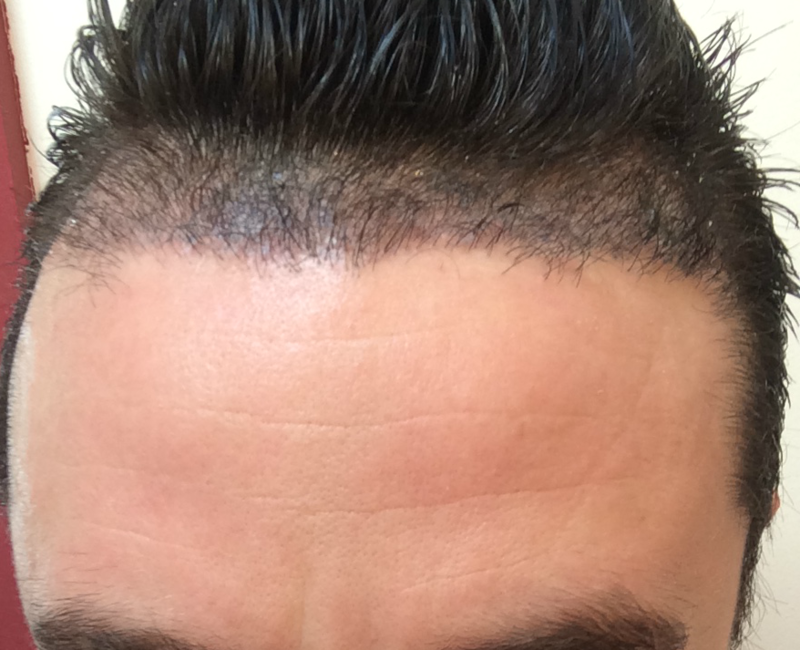 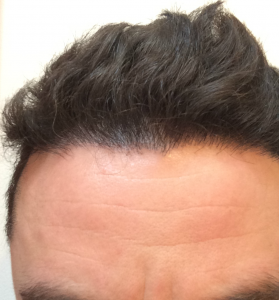 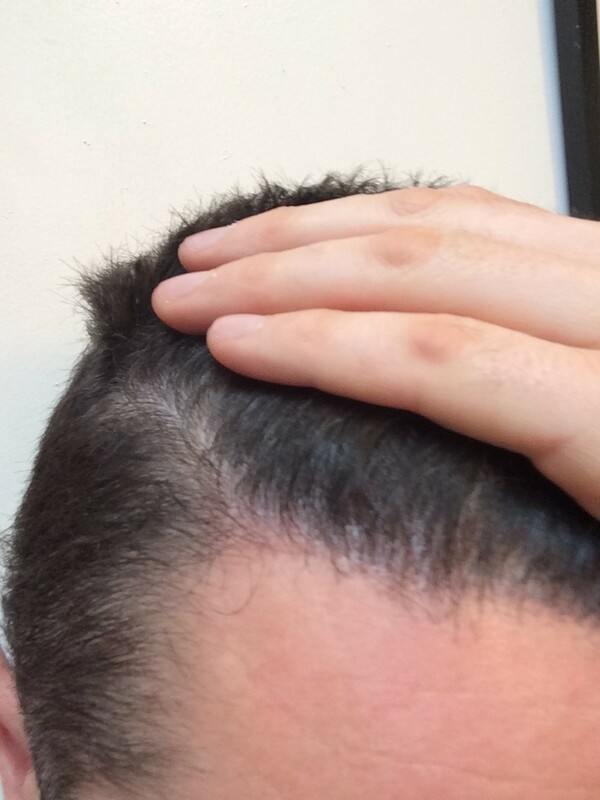 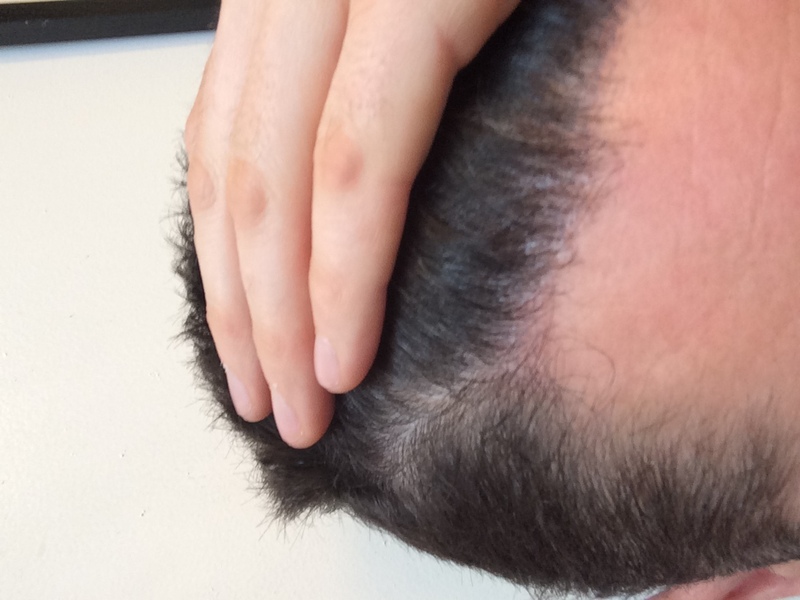 The density in the hairline appears to be getting thicker, but I’m not sure how much of it is a result of the previously transplanted hair itself growing longer. 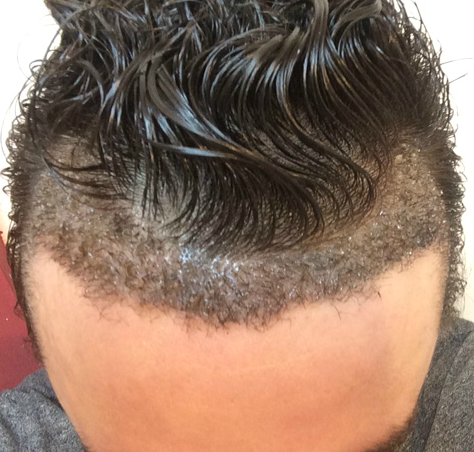 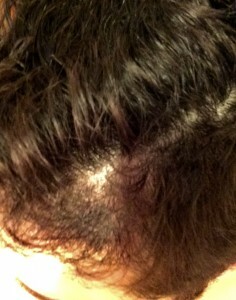 About 10% of the Rahal transplant seems to have not shedded, but I have yet to really see the sprouting of new hairs. Excited to see the growth over the next two months. 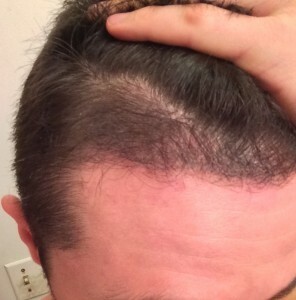 And anxious to hit the 6 month mark where I will be allowed to expose the graphs to sunlight. 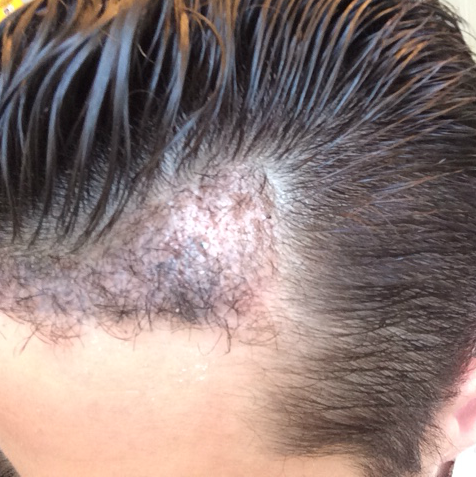 95% of the growth here is from my original HT, however there are definitely areas that I feel are thicker than before (and some thinner due to temporary shock loss) and I believe that has been a result of about 5% of the Rahal transplant not shedding. All of these non-shedders are in an area where I had the previous transplant, so perhaps that has something to do with it. 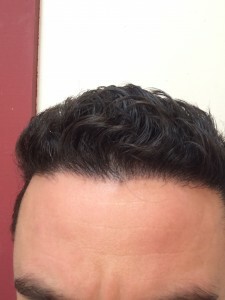 I’m smack dab in the middle of the ugly duckling phase, but with careful styling and topical cover-up (that I wash out nightly), the operation is borderline undetectable. 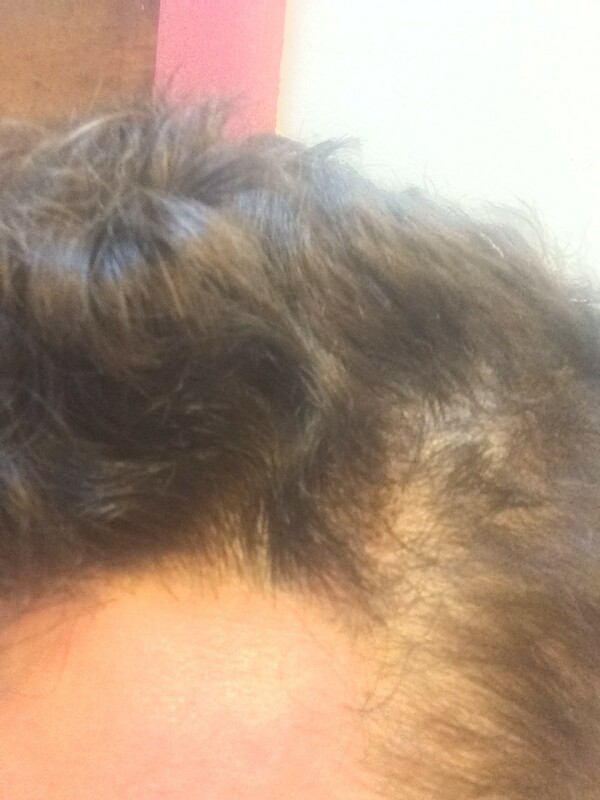 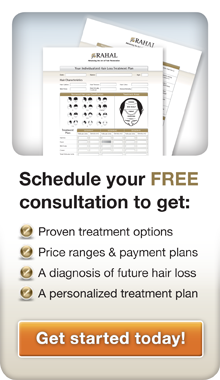 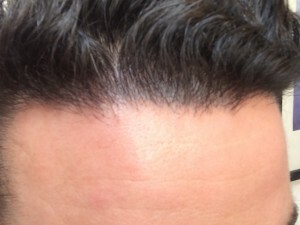 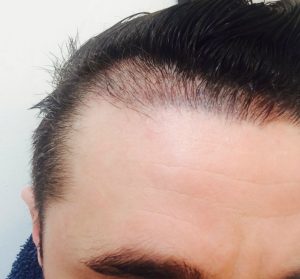 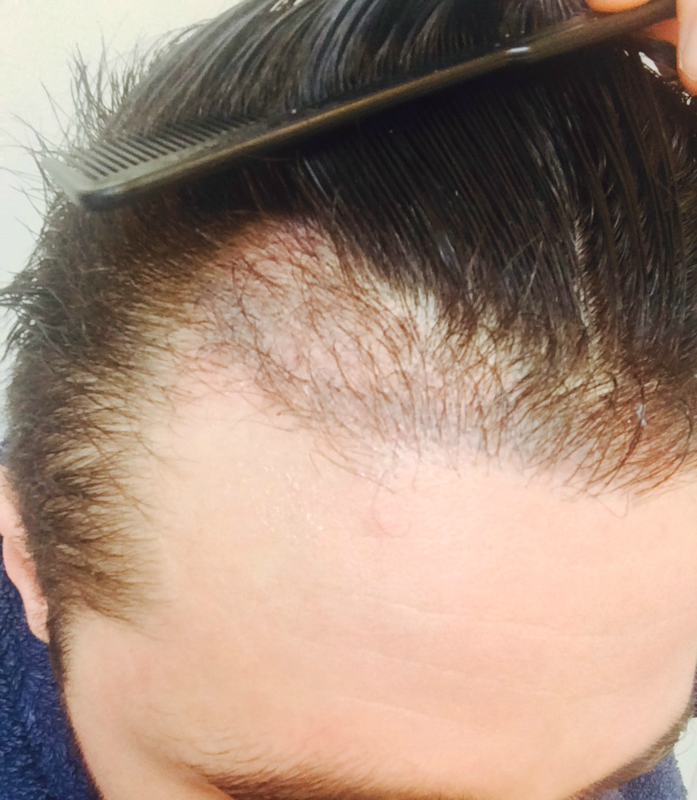 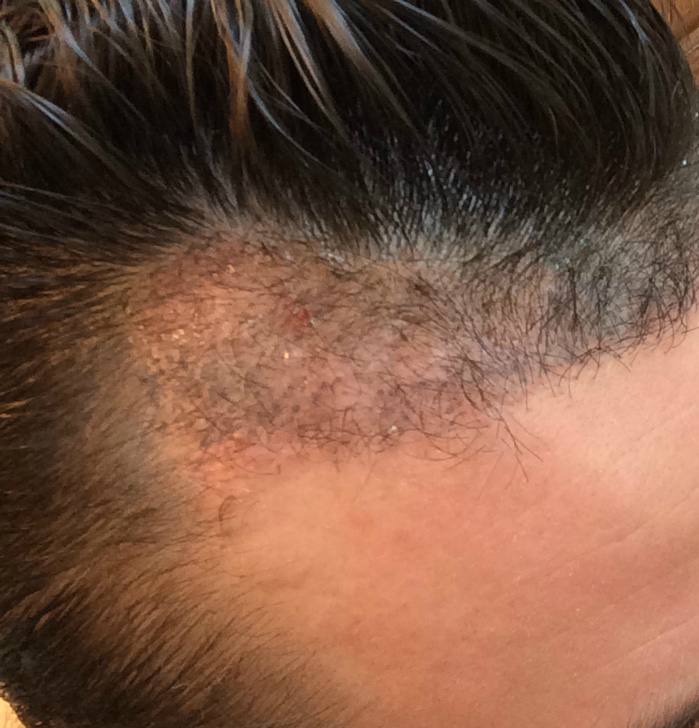 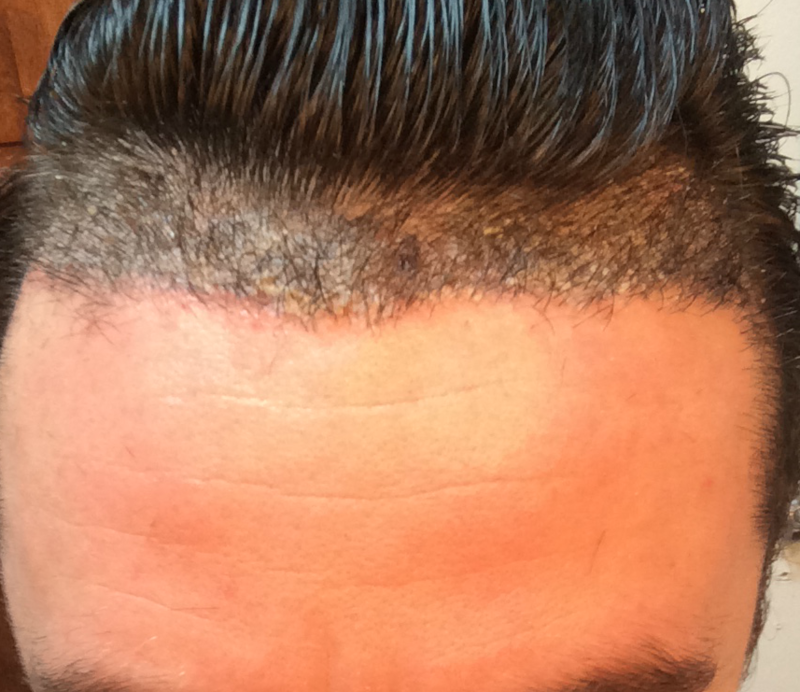 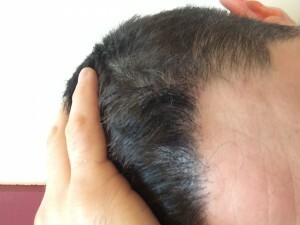 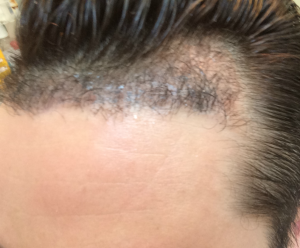 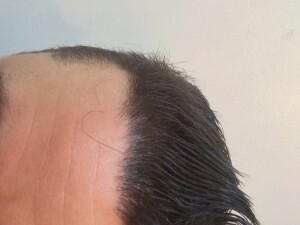 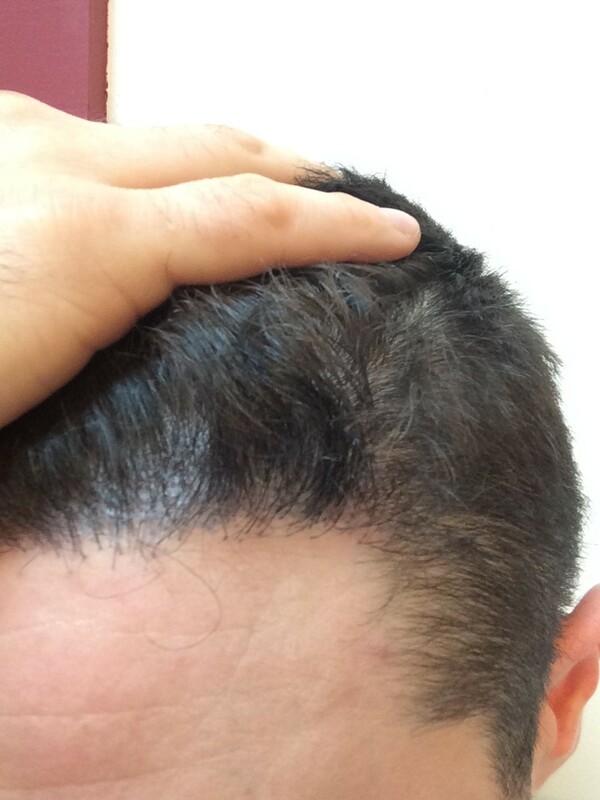 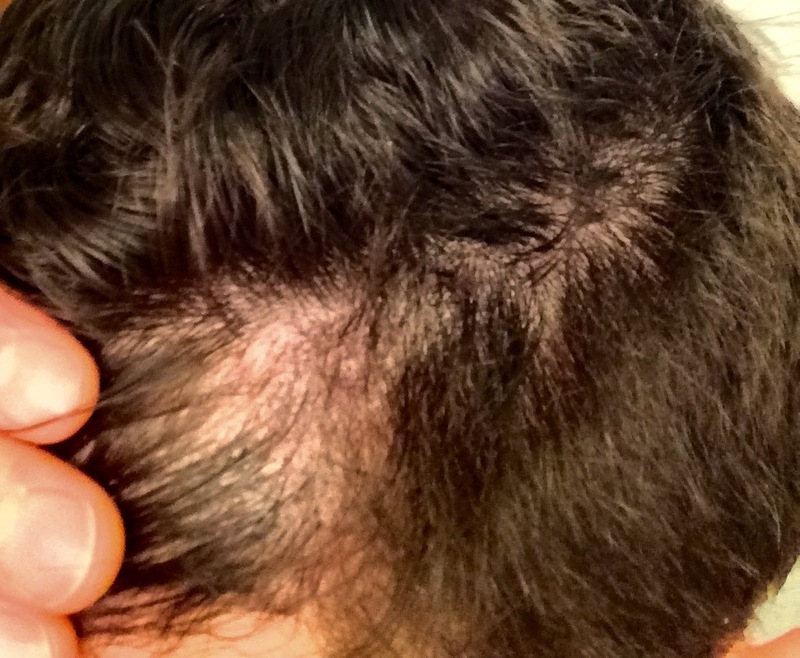 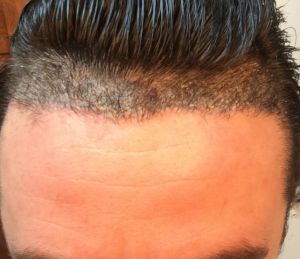 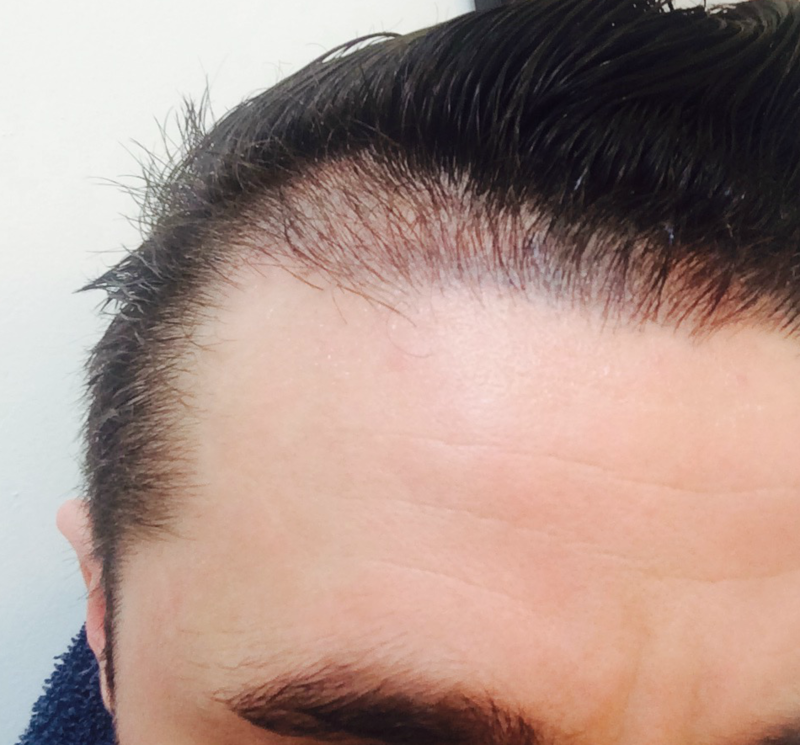 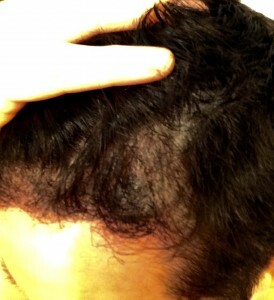 I have continued to apply Rogaine 2x daily and take 1mg of Propecia 3x a week. 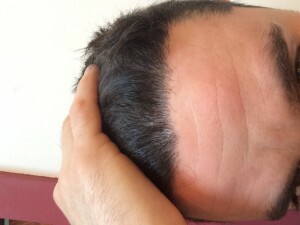 I also have continued application of pure Vitamin E oil to the scar as I’ve read around that this can reduce the size.